The "Polar Vortex" has helped tremendously to recover from the rain events we had last month. Both the Roadside Gully, and the Gemini Gullies are in and climbable. I did not stop to check on Hidden Amphitheater, as it had a massive amount of water coming down the tiers last week. The Gemini's were climbed yesterday via the Left Gully. The party lost a cell phone there, so if you end up on that side of the river over the weekend, please keep an eye out for it. Get on this now, as next week's weather forecast is not good. Roadside Gully: (Left) The low angle approach has crusted over, but be aware of under cut and delaminated ice from the rain we had last month. (Right) All routes in the upper amphitheater look good from the road. Gemini Gullies: (Left) Both gullies have filled in nicely. (Right) Left Gemini was climbed yesterday, but the center curtain (pillar) still needs some time to fill in. (Left) Right Gemini Gully's upper head wall has filled in. (Right) Little Roadside Gully is now fat. 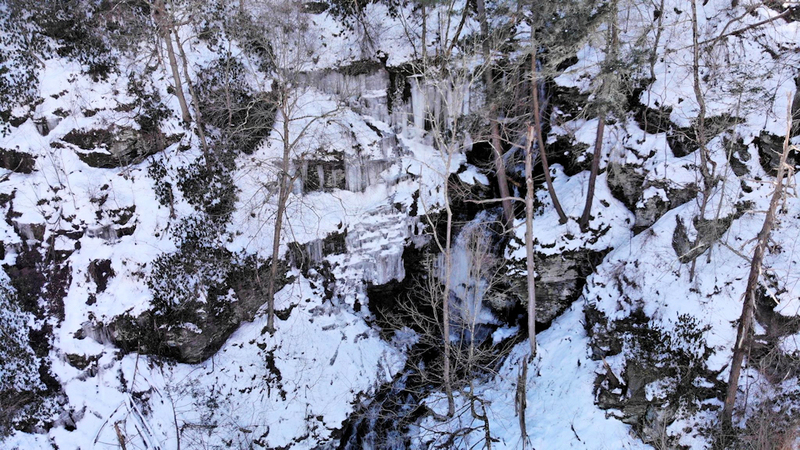 With the excessive runoff from our wet Fall and Winter, the main waterfalls are currently flowing too strong to come in without an extended period of cold weather. But these wet conditions are beneficial for climbs that are fed by seeps and small springs. 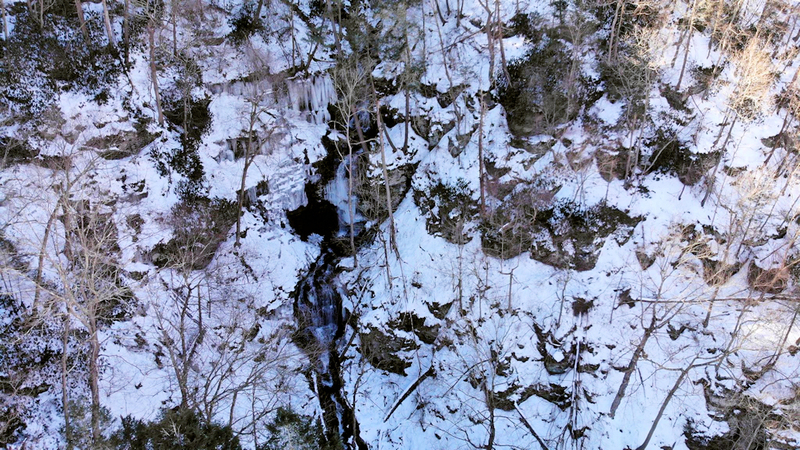 Just downstream from Rosecrans Falls near Loganton, in the upper end of the McElhattan Run Gorge, there are several cliffs that form short, but nice sporty ice and mixed routes. I visited here today, and was pleased to see most of the routes in and climbable. 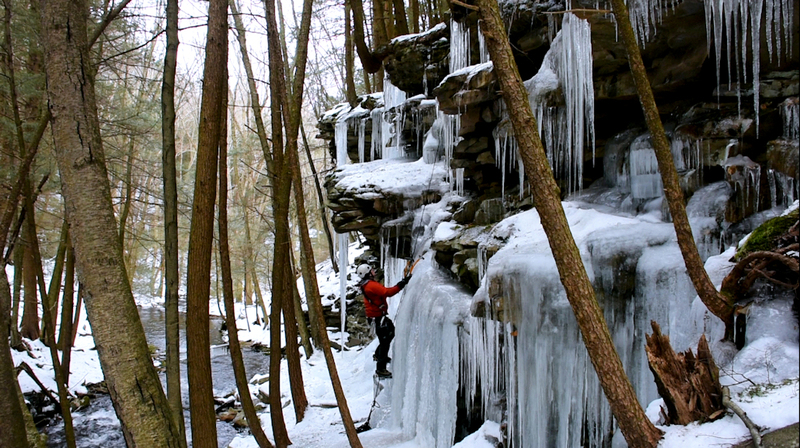 YouTube video from today: Ice Climbing Rosecrans Falls - January 26, 2019.